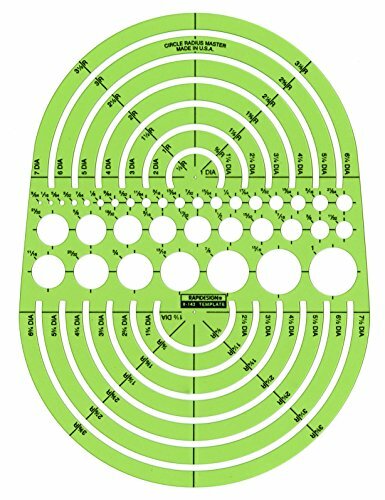 Rapidesign Circle Radius Master Template (#R142) contains 62 circle diameter sizes from 3/64 inch to 7-1/2 inches. Made in USA. Rapidesign has the world's largest selection of drafting templates for architects, builders, engineers and graphic designers.